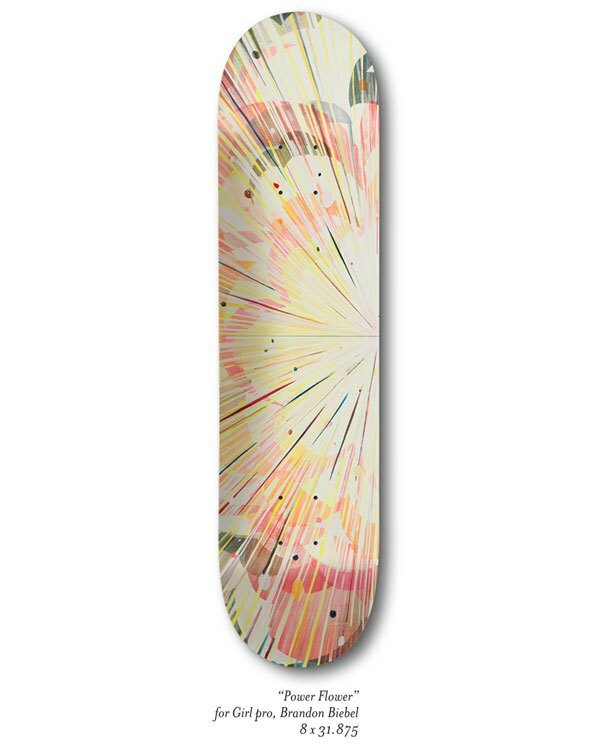 If you ever doubted that skateboard is also a piece of art, new collection of Girl Skateboards will change your mind. 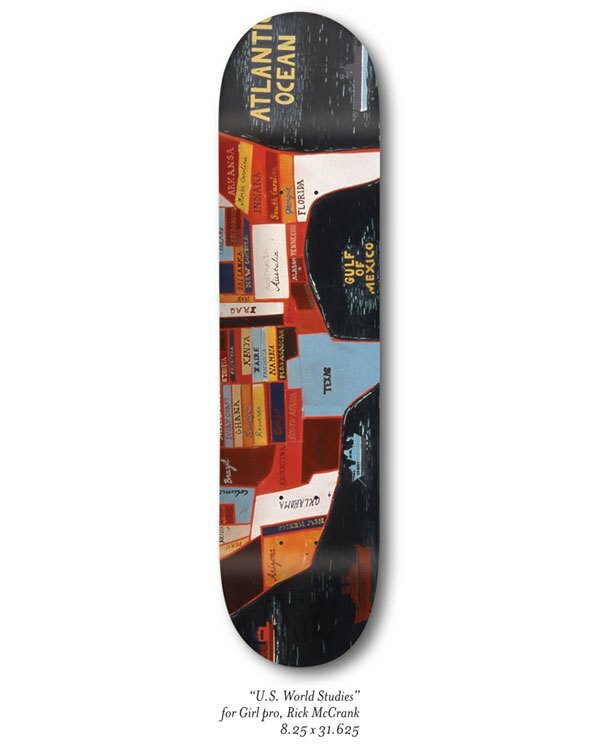 A prominent, Bushwick-based artist, Jules de Balincourt, created a special limited edition of skateboards to be launched this coming Saturday at The New Museum Store. 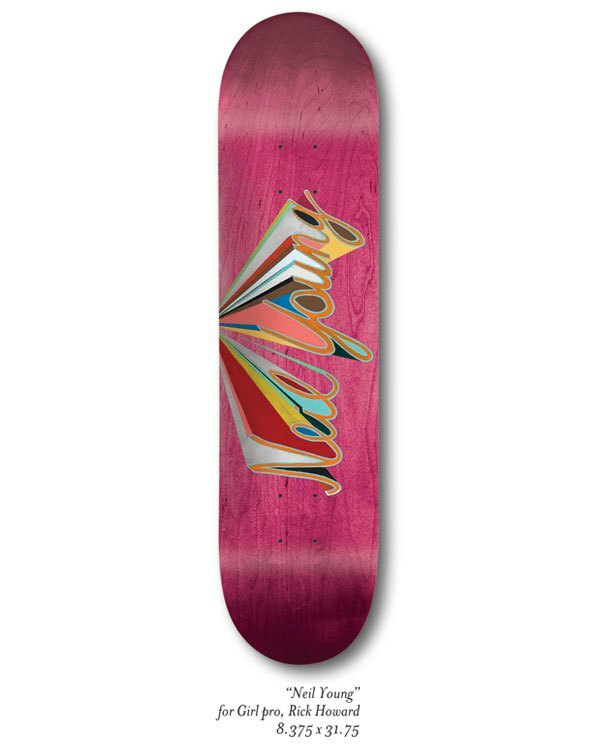 His four skateboards are vibrant, exciting pieces of joy that we wouldn't mind riding ourselves. The only question remains: which one to choose. 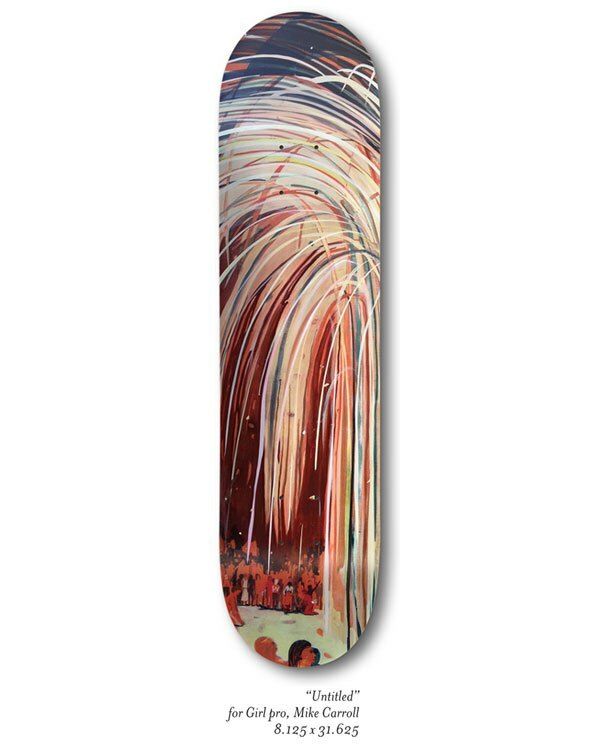 Jules will be signing the skateboards this Saturday, so if you want one of these babies, you should definitely go. Jules de Balincourt is one of Bushwick's most prominent and well-known artists. He was born in Paris, France and after a period of traveling through France, Ibiza and Mexico with his mother and sister, the family settled in South California where young Jules spent most of his formative years surfing and skateboarding. Jules went to California College of Art and got his MFA at Hunter College. He has shown at Mori Art Museum (Tokyo, Japan), the Montreal Museum of Fine Arts (Canada), the Rochechouart Museum (France), the Modern Forth Worth (Texas), as well as at Kasseler Kunstverein (Germany). 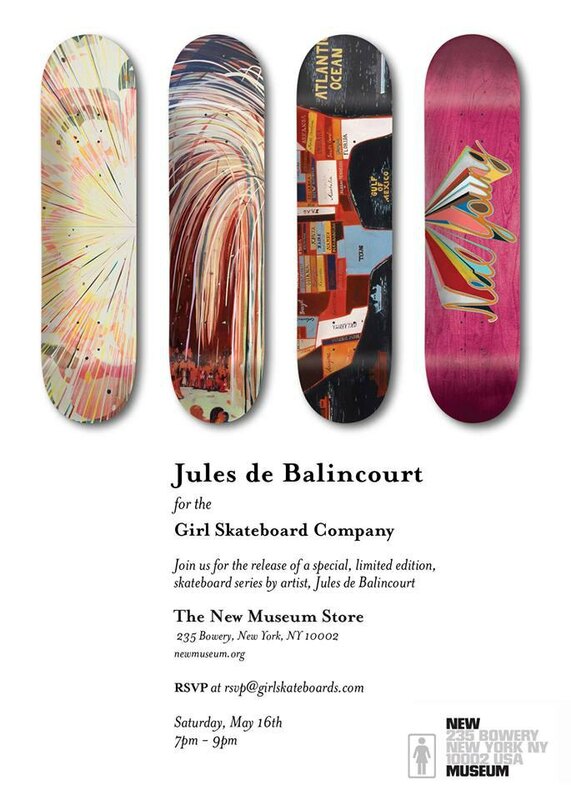 Jules de Balincourt x Girl Skateboards, The New Museum Store, 235 Bowery NY, RSVP at rsvp@girlskateboards.com this Saturday, May 16, 7-9PM.